Paizo Publishing will launch a playtest of the second edition of its flagship Pathfinder RPG on August 2 with the release of a playtest rulebook, adventure, and Flip-Mat. 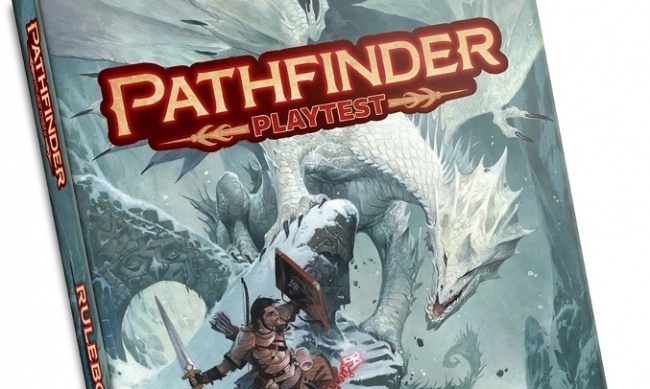 The playtest program will run from August 2 through the end of 2018, and will inform the final version of Pathfinder 2nd Edition. The three Playtest products will be printed to order based on preorders placed by May 1, and will never be reprinted. 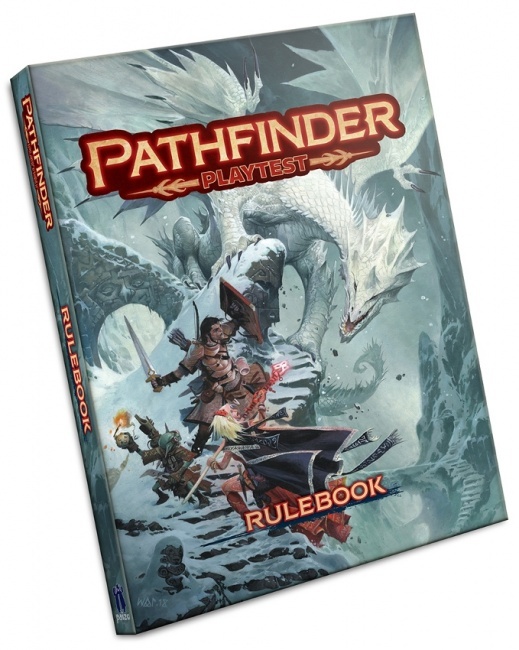 The Pathfinder Playtest Rulebook will be a 416-page volume containing everything needed to advance a Pathrfinder Playtest character from level 1 to 20, plus spells, magic items, feats, and rules needed to run the playtest. It will be written by Logan Bonner, Jason Bulmahn, Stephen Radney-MacFarland, and Mark Seifter, with interior art from cover artist Wayne Reynolds. The Pathfinder Playtest Rulebook will be sold in three 8.5 x 11 editions: softcover at $29.99, hardcover at $44.99, and deluxe edition bound in faux leather with metal deboss cover elements and a bound-in cloth notebook, at $59.99. Paizo will also release an adventure to play as part of the Playtest. 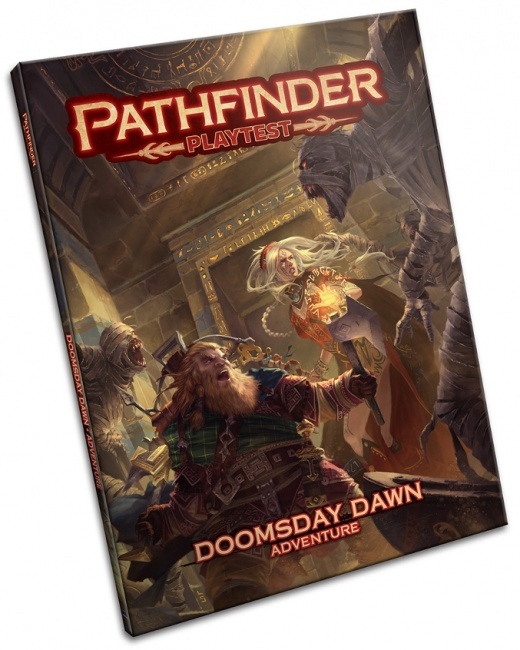 Pathfinder Playtest Adventure: Doomsday Dawn will take place on Golarian after an alignment with the hostile planet Aucturn brings the Dominion of the Black. Players will go on a decade-long adventure to deal with this challenge in seven multi-encounter scenarios. Doomsday Dawn is written by Logan Bonner, Jason Bulmahn, James Jacobs, Amanda Hamon Kunz, Stephen Rodney-MacFarland, and Mark Seifter. MSRP for this 96-page softcover is $24.99. 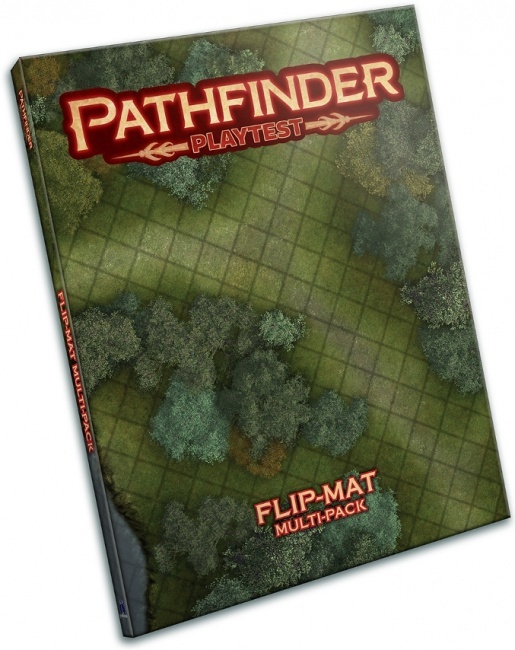 And to support play for the Playtest, Paizo will release a set of two double-sided Flip-Mats with four key encounter areas from Doomsday Dawn: a burnt-out crypt under Magnimar, a ruined temple in Worldwound, a wizard’s tower beside a mountain pool, and an arcanist astronomer’s underground workshop. This Flip-Mat is 24" x 30" unfolded and 8" x 10" folded, and has an erasable coated surface. MSRP is $24.99.